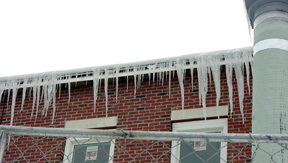 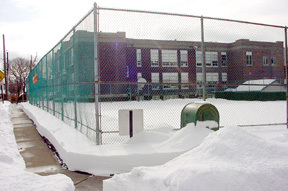 On the afternoon of Sunday, February 16, Governor McGreevey declared a "State of Emergency" as a winter storm with wicked-cold temperatures and brutal blizzard-like wind conditions was expected. 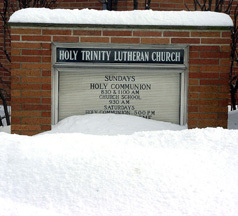 The snow began Sunday night and continued steadily until Monday evening. 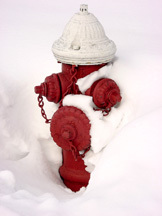 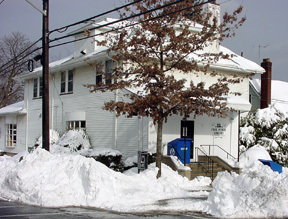 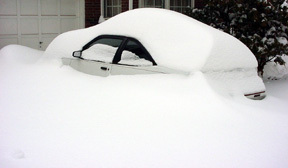 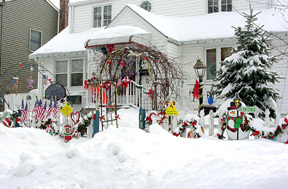 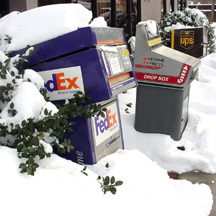 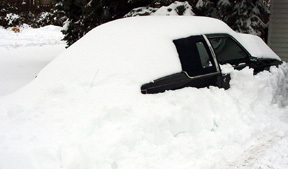 As the day ended on February 17, 2003, Hasbrouck Heights received over 20" inches of snow -- making it the deepest snow fall since January 7-8, 1996. 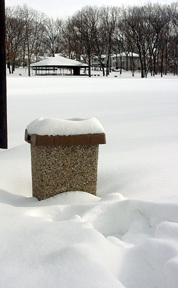 The HH School system was already closed for a scheduled winter break. 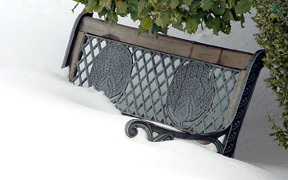 The storm struck on President's Day -- a state and federal holiday in which many people were home. 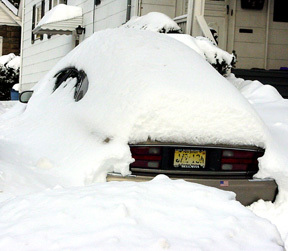 All area airports were closed, including Teterboro Airport. 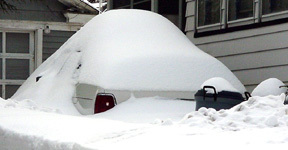 There were difficult traffic and road conditions with commuter delays and many "fender-benders", but no serious incidents were reported in Heights. 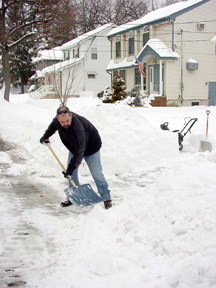 The DPW was out in force throughout Sunday night, all day Monday. 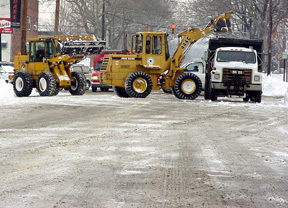 By Tuesday mid-day, all Heights roads were plowed clear. 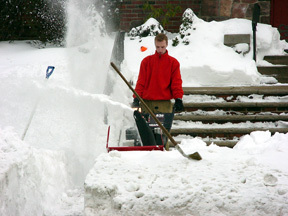 Tuesday afternoon saw the DPW clearing walks at municipal buildings such as the Library. 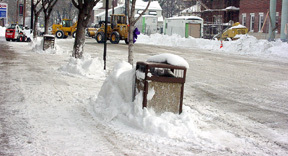 By Wednesday morning, the DPW was removing snow from intersection corners and The Boulevard sidewalks. 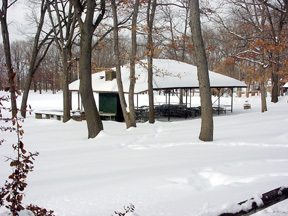 The snow removed was taken to the Woodland Park back lot and the DPW yard. 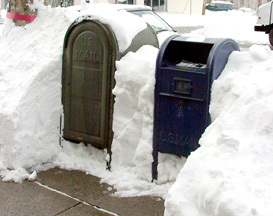 It should be noted that despite the storm, garbage that was placed on the curb was collected, and the recycling/newspaper pick-up was made. 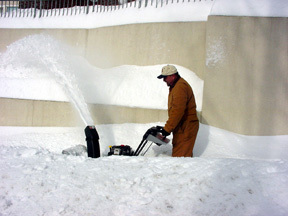 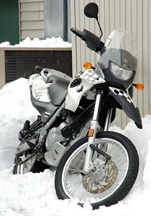 The term "blizzard-like" was used by the media, although the exact meteorological criteria which include sustained winds of 35 mph and visibility near zero was not met. 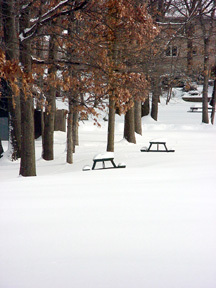 Here are some scenes on the afternoon of February 18. 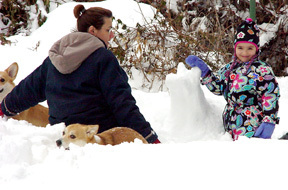 Family making snow sculpture of "Corgies"
DPW clearing sidewalks and grooming street curbs on the morning of February 19.